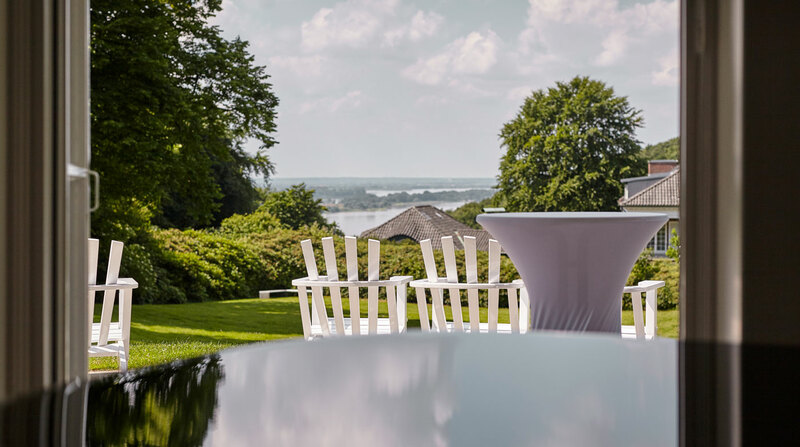 The breathtaking view of the Elbe, the elegant atmosphere of a historic villa, the expansive terrace and garden area—the Elsa Brändström Haus is a natural fit for a variety of festive events! The quiet surroundings and exclusive usage of the villa as well as our guest rooms form the perfect foundation for your celebration. However, the Elsa Brändström Haus does come with one small “caveat”: the villa is located in a residential neighborhood, and wedding parties as well as other celebrations with dance and loud music are only possible a limited number of times per year. The organization of such festivities is taken care of by the agency Event All In. Please contact Event All In directly for viewing appointments and further questions. 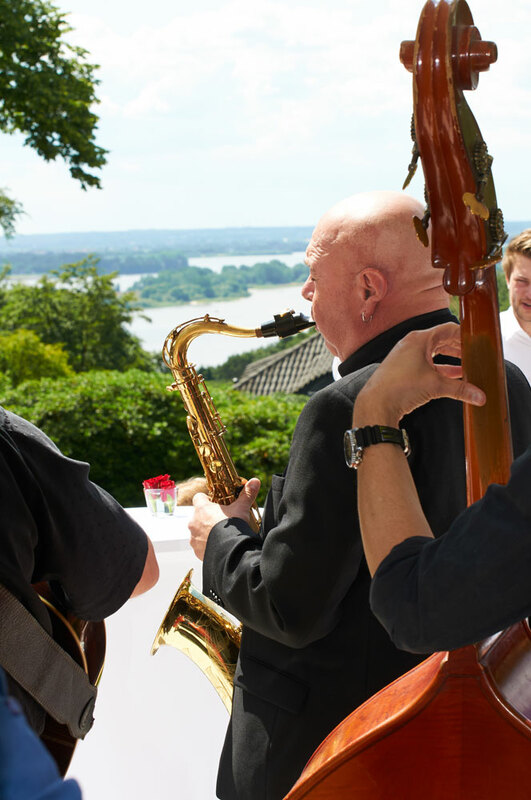 If you are planning a birthday celebration without dance, a family reunion, a Christmas party, an anniversary or a summer festival, a cocktail night or a wedding ceremony in our garden with a view of the Elbe: please contact the event team of the Elsa Brändström Haus. 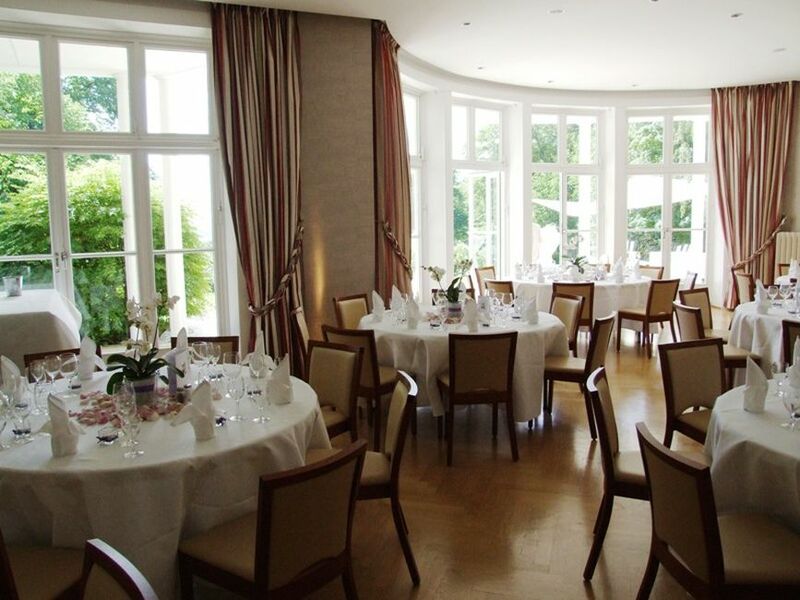 We are happy to create a tailored offer for your event: a delicious buffet created by our head chef according to your preferences, exquisite wine pairings, cocktails, and aperitifs, and a festive ambience in our garden, the Great Hall or the wine lounge and bar. 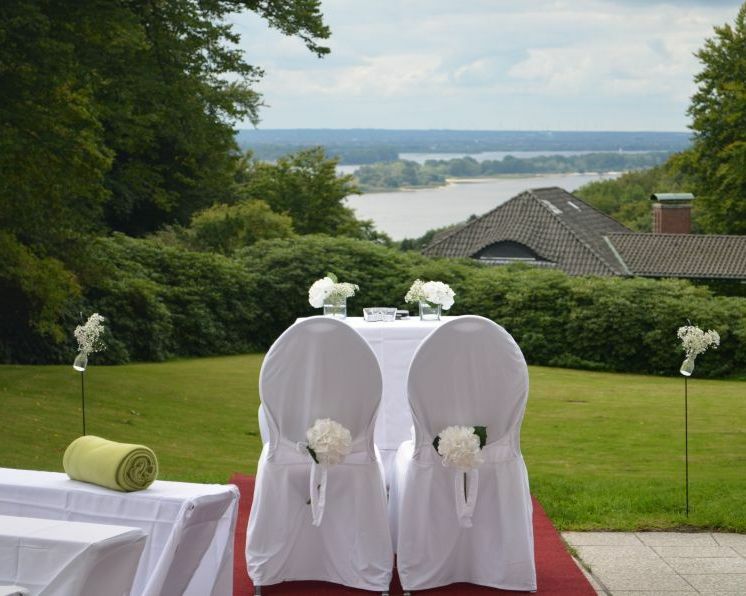 We determine the perfect setting for the event in close consultation with you, and we make sure that you can enjoy your celebration with us shielded from the stress of everyday life. We look forward to serving as your host and are happy to provide you with an individualized quote for your festivities. 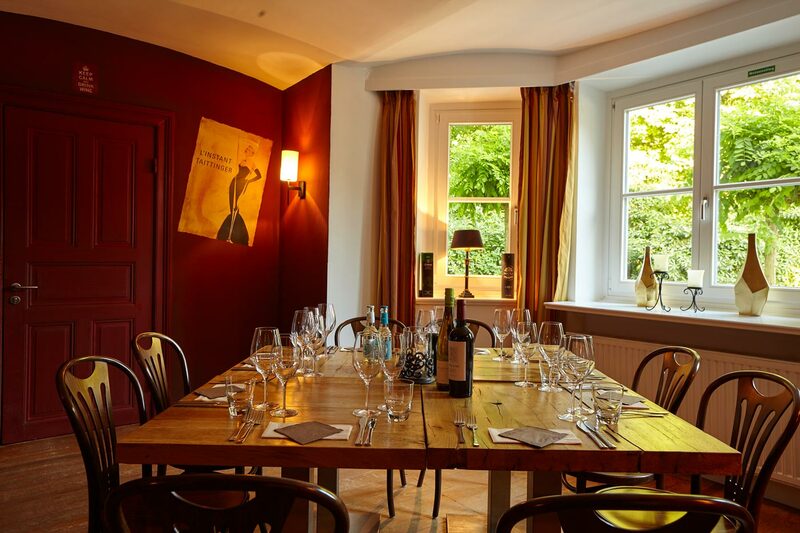 The minimum size for booking an event with us is 20 persons.